I don’t know if you ladies are like me, but I personally LOVE to have my nails done. I hate when the polish gets old and chipped and tend to hide my hands when they’re not. Silly, I know but it’s true. The one thing I hate more than having chipped nail polish nails is waiting for the paint to dry (cue Jeopardy theme) which could take hours! Yes, hours… of course depending on how thick the polish has been applied. We all know the pain of waiting. Everytime I’m in the salon it’s always the same complaint from all the women. Not to mention, ALWAYS at the last minute you somehow manage to smudge it (at least I know I do). So to avoid waiting for my nails to dry I would just go to the salon and get the gel polish which doesn’t need to dry at all. It takes about 20 minutes or so and once the technician is done BOOM you leave. I love that process but the only issue with getting that done every two weeks (the polish has a life of about 14 days with no chipping) is the UV light which your hand needs to sit under for a few minutes and it’s a crucial part of the process. Not a big deal once or twice, but every two weeks could end up with health issues. A recent study found that the cumulative damage from the light frequencies the nail lamps emit can cause DNA damage to the skin that can result in premature aging and possibly cancer. So, as usual there’s a downside to being beautiful. But not anymore! 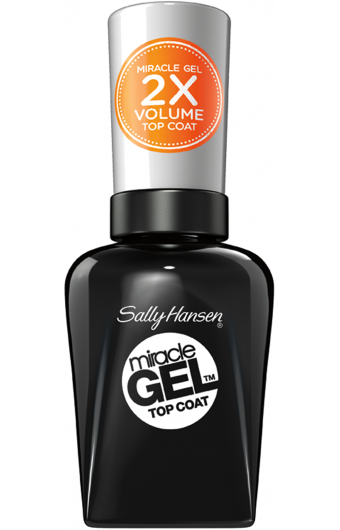 Sally Hansen who has a history a making some of the best polishes there is has now released Sally Hansen Miracle Gel! This allows you to have all the pleasures of gel nail polish like 14 day life and minimal drying time (5 minutes!) without the risks. 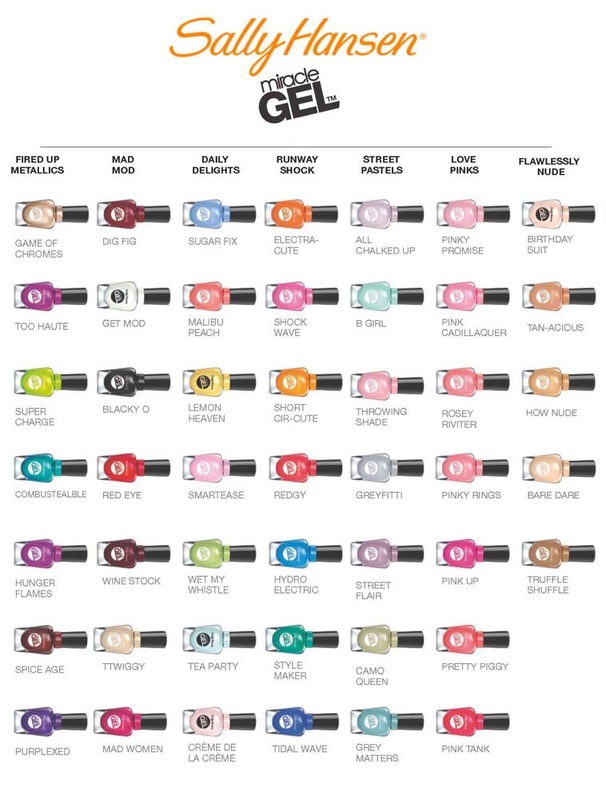 It’s as simple as painting your own nails with one of the many shades offered (there is about 62 shades available) and then topping it off with the Miracle Gel Top Coat… wait 5 minutes and then complete! And there’s more… you can find these products in most beauty supply stores or large retailers like Walmart or Target in prices ranging from $7.00 to $10.00. Now that’s a bargain considering the competing polishes like OPI etc, retail for the same price without all the added benefits. 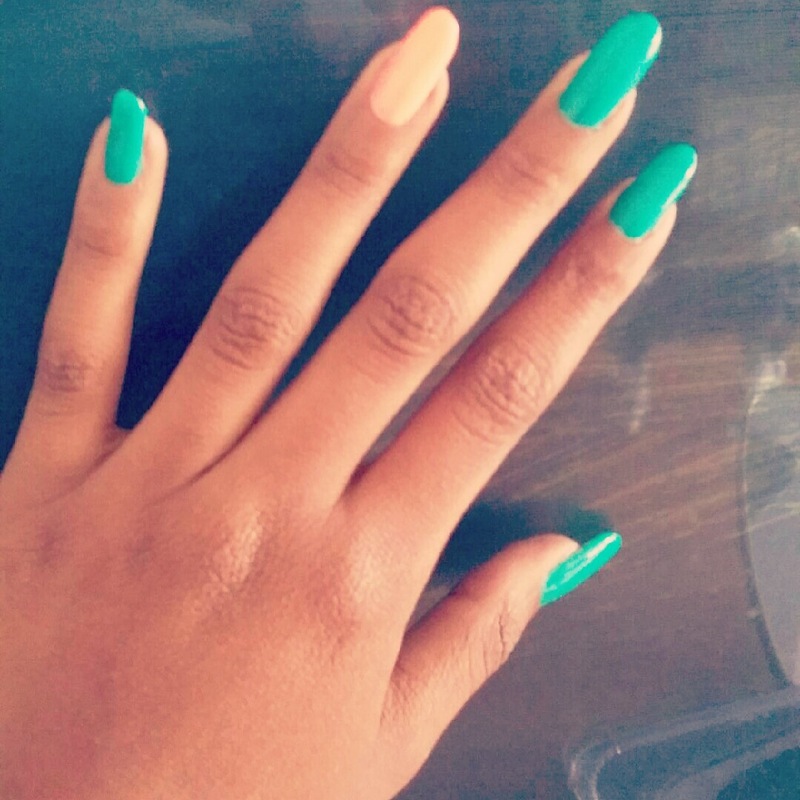 Sally Hansen Miracle Gel is definite must have for any season!